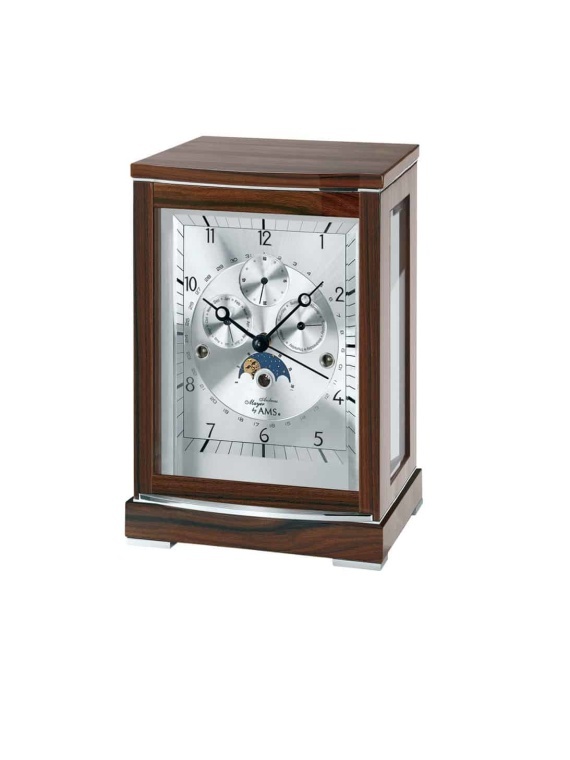 Quartz mantel or table Clock with silver colour laquered finish case with mineral glass. Price Promise – if you find it for less, send us an email and we will try and match it. UK BASED SUPPORT. If require help please send an email. 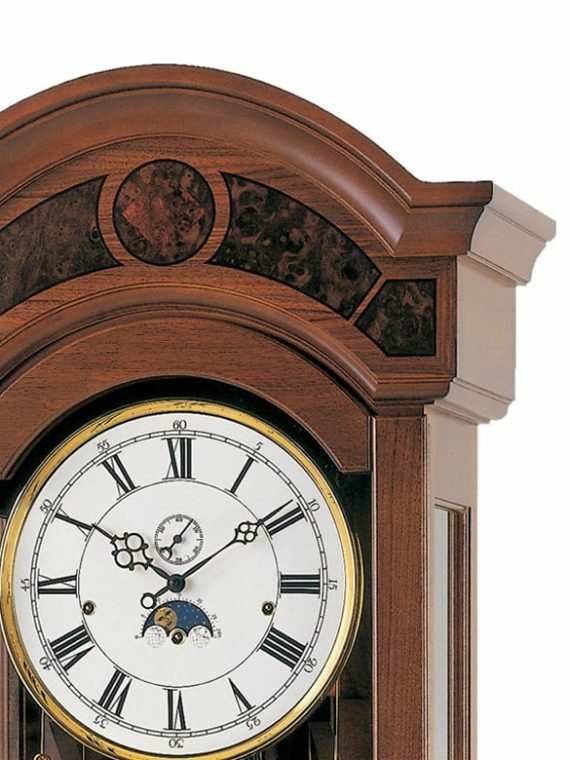 Delivery times vary depending on the clock purchased. 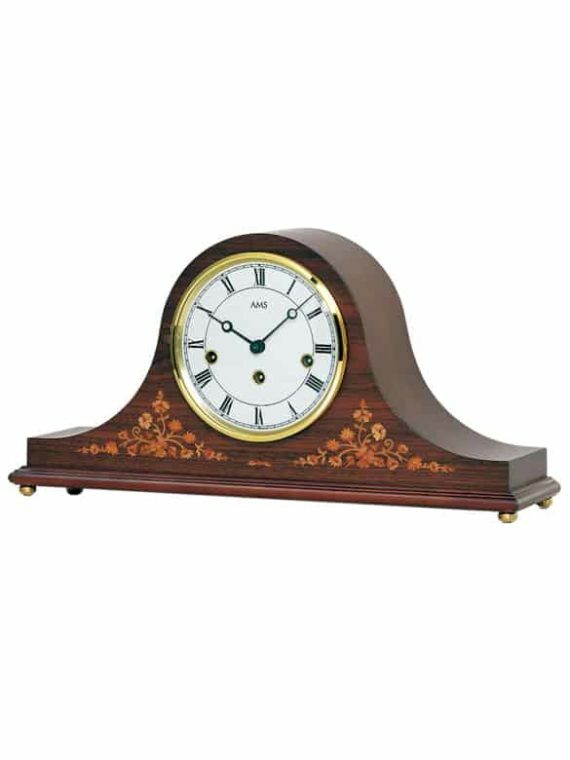 If you require your clock by a certain day, send us an email and we will try and help. 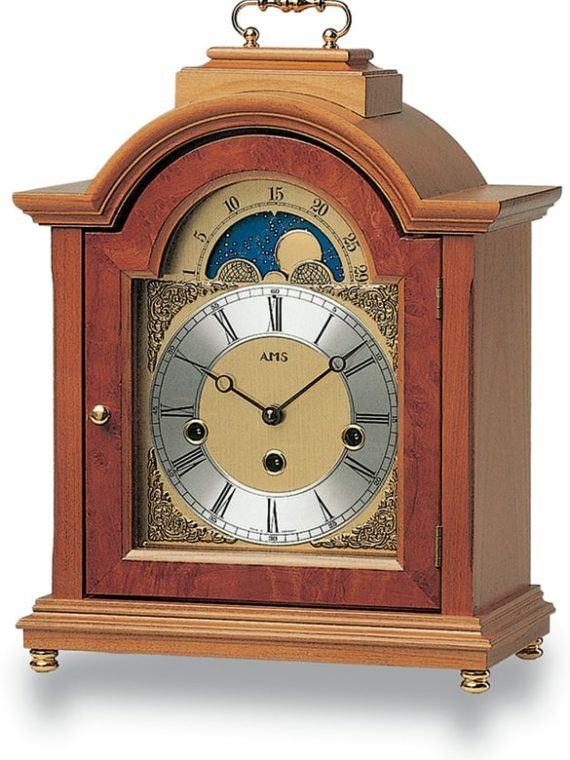 Simply place your order online and we will be in touch to arrange delivery. Free delivery within mainland England. Please email us for a quote on Highlands & Islands deliveries. 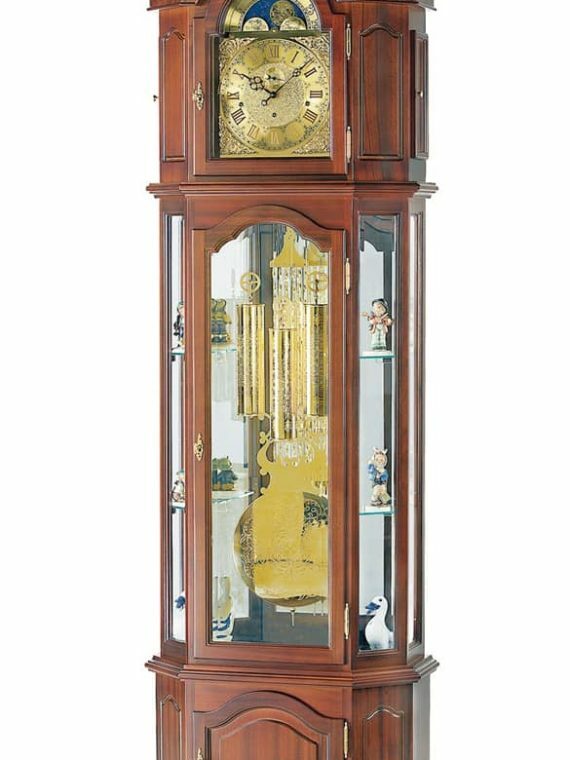 Depending on your location and for an additional charge we are able to offer a delivered and set up service. 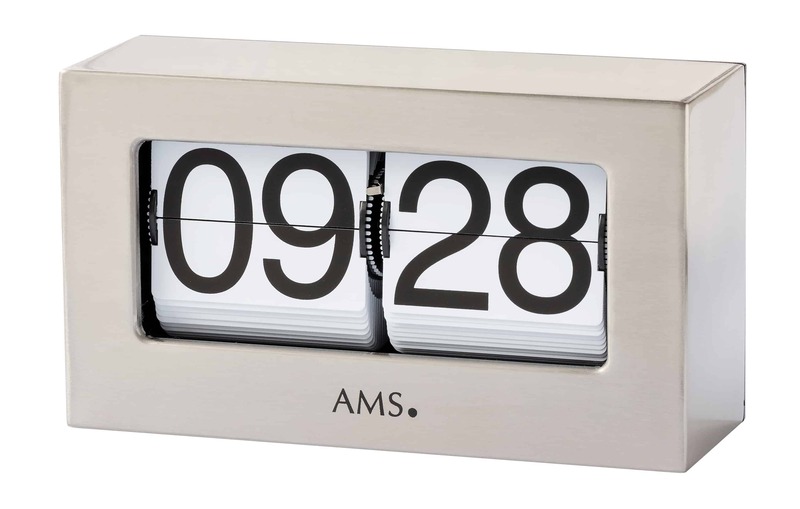 AMS clocks will never intentionally be undersold on quality / on price / on service. We don’t offer spurious money back options or unbelievable terms, just good honest service in England. 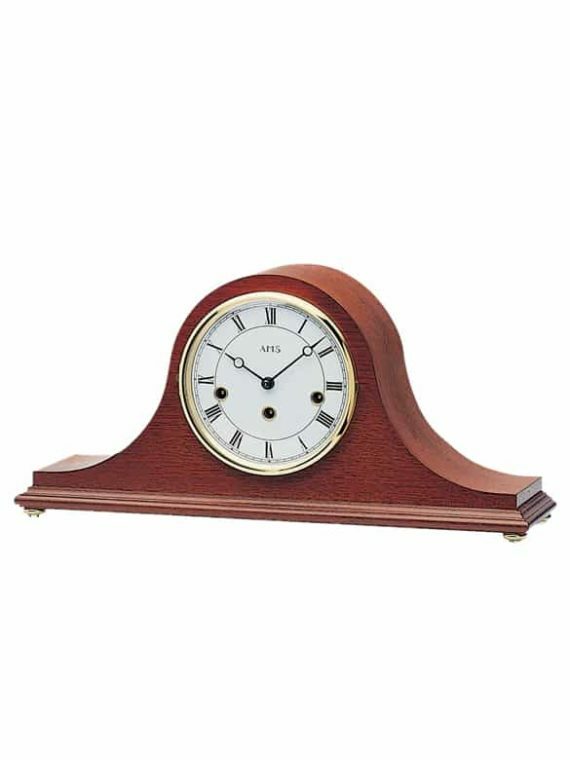 Backed by over 200 years combined understanding of the clock market and a genuine love of clocks, unlike some, who see clocks as just another commodity. Well packaged for quick and safe delivery. Delivered to your Door.